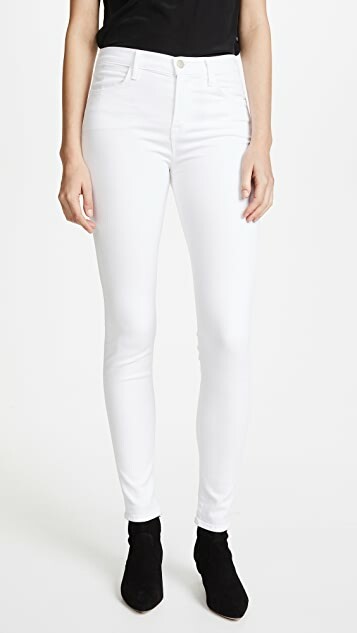 High-rise, 4-pocket J Brand skinny jeans in a clean white hue. Button closure and zip fly. 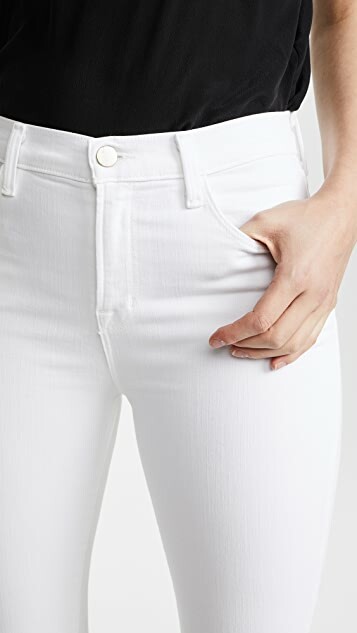 I have long been on the hunt for a great pair of white jeans. I always find them to be too stretchy, exaggerating my hips and thighs - yikes! These are the perfect mix of stretch and thickness. They're high-waisted which i prefer and will hug your curves in the right way. I might have to grab another pair... Runs true to size. I love how these jeans are thinner/finer than cheaper denim. However, they run a size too small. I am a 4-6 and have always worn a 28. 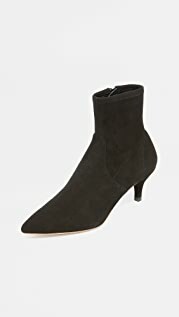 These are uncomfortable in a 28 for me. I wish I would have sized up. Purchased about a year ago. These are amazing. 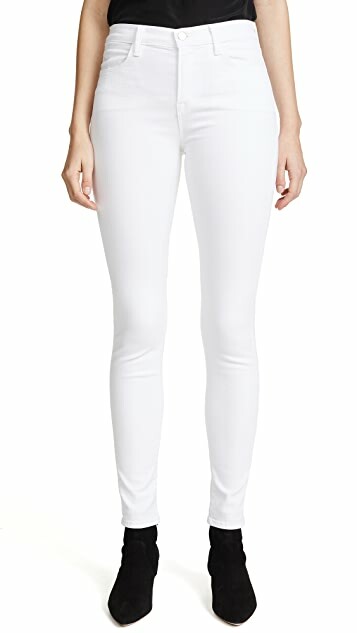 Stretchy and comfy as a legging but not that weird see through look you can get with some stretchy white denim. Fits curves and a tiny waist great because of the high rise. I do a 26 or 27 in jeans dependent on fit and I went with a 27 worrying that they'd be too sheer if they were more fitted. 27 is just fine but I probably could have done a 26 no issue. These jeans are very flattering due to their high rise. I ordered a size up because I've noticed (over the years) that "white" jeans run smaller than blue or black. They are a perfect fit! 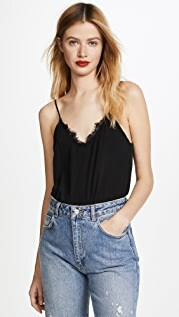 Love these jeans - own them in black, blue and white. So soft and stretchy yet still feel like a real pair of jeans. I'm 5'6", 130lbs, size 4/6/8. I ordered the 28. Could probably make the 27 work but at my age I prefer a little generosity, and this way the legs are not too tight. Love the high waist - at my age (46) it feels both comfy and appropriate. My only complaint is that I would prefer more of an ankle length (these are full length on me) - but a tailor can fix that problem. Maria high rise jeans fit better than any on the market. I have tried many but always come back to this style. good fabric, very flattering, a little too high waisted but will make it work. My 4th pair of J Brand jeans and they are perfect as always. The Maria high rise is so comfortable as they do not slip down like the low rise ones do..... I have fairly small hips, so that can be a problem with low cuts. The new denim fabrics are sensational and do not stretch out after a few wears. More colours/washes please. 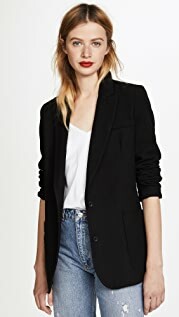 J Brand has never disappointed me! Comfy, love the high waist as it adds to comfort. As fabric is a little thicker ideal for winter wear!